Red Maple is a handsome native tree growing from 50' up to 100', developing a round head of leaves with silver under color. Red Maple is a beautiful tree from spring thru winter but the outstanding color of Red Maple leaves in the fall is their favored quality. The winter buds are dark red, blunt; the terminak bud is about 1/8th inch long. The leaves are opposite, simple, 3-6" long, somewhat heart shaped, with 3 triangular lobes and saw-toothed. The stems generally have a reddish look to them. A sure sign of spring in the Midwest is the dropping of the Red Maple flower clusters. The flowers litter the ground in March or April. The seed pods of Red Maple are the familiar little helicopters 1 inch long which drop in May or June and sprout shortly after. Red Maple has silver-gray bark, flaky, with leaves starting out green with a reddish tint in the spring turning brilliant crimson to yellow in fall. Red Maple can have a wide variation of fall color. Be aware that only the cultivars such as Autumn Blaze, Northfire, Northwoods, October Glory Red Sunset and other cultivars can guarantee a particular fall color. The wood is hard, closed grained, pale reddish, used for gunstocks, tool handles, oars, furniture and woodenware. Red Maple is excellent firewood but somewhat less dense than sugar maple. The branches are less brittle than the silver maple and less prone to breakage. Red Maple grows to 60' in height, in the forest it can grow taller. Michigan has the tallest Swamp Maple at 179'. Red Maple is a fast growing tree, faster growing than a Sugar Maple but somewhat slower growing than a Silver Maple, Acer freemanii is a hybrid cross of silver & red maple. Grows best in full sun to partial shade. 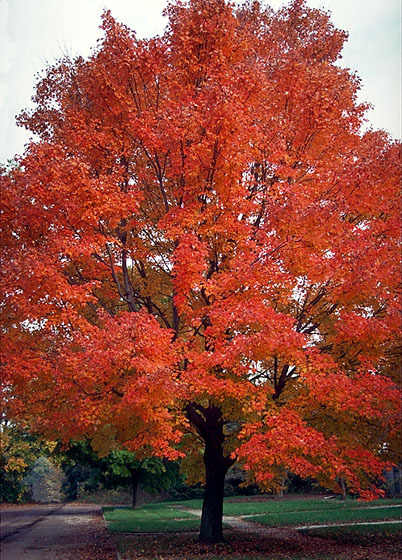 Tends to be a more dense tree than a sugar maple as the maple decline doesn't affect the red. At Porcupine Hollow red maple are most commonly found in the damp valley bottoms but occasionally grows on the dry sandy hilltops. The Red Maple transplants easily bare root, balled and burlapped or with root bags and is sometimes dug in mid summer. Red maple and it's cultivars are one of the most common and preferred landscape tree in the northern 2/3rd of the US. Be careful when mowing even as the tree reached maturity as damage can result. Red Maples are hardy from zone 4 to 9 which covers most of the United States, northern Minnesota, North Dakota being the exception. Red Maple grows well in all types of soil and can be planted in wet areas. To buy Red Maple seedlings and transplants use the table below. 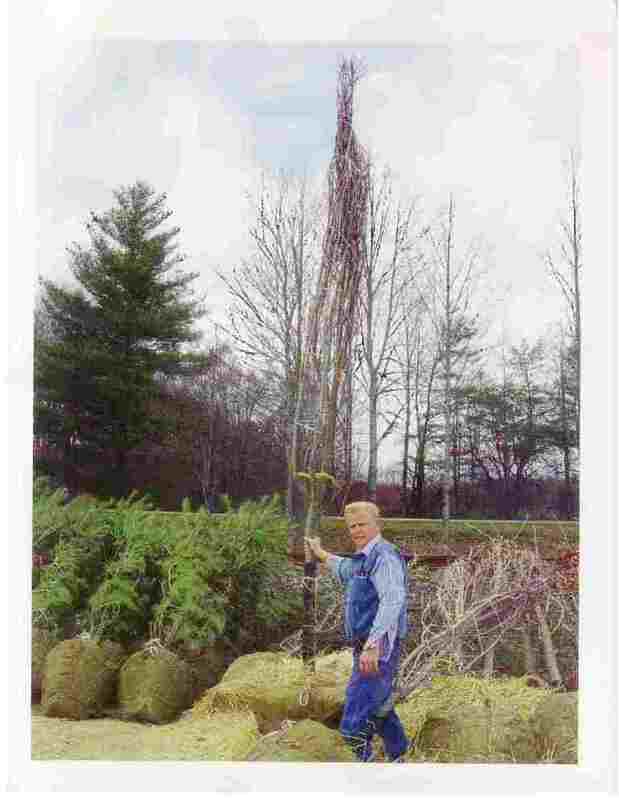 To order Red Maple seedlings by PHONE: We're glad to take your order by phone. For your convenience, we have a toll free number 800 568-9179. Phone orders can be charged to VISA, or MasterCard accounts.